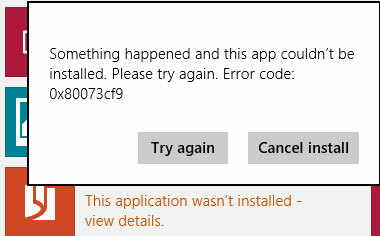 You only have the option to try again or cancel installing the application. Unfortunately, both these buttons are not of any help in this case. If you want to solve this issue, then you’ll need to try out a couple of solutions. But before proceeding forward, do create a system restore point so that you can revert back to an earlier stage, just in case something goes wrong. 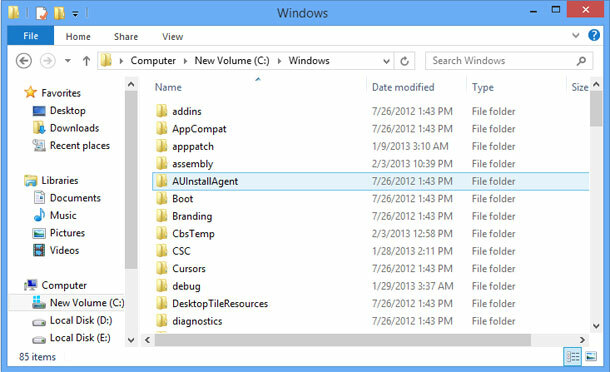 Navigate to your C:\Windows folder, and look for a folder named as AUInstallAgent. If there’s no such folder, then create it. To do so, you’ll need to be logged-in as administrator. Clean uninstall the app and then re-install it again. Disable the security software as well as the Firewall and try again. Try running the System File Checker tool. To do this, type CMD on the Start Screen, right-click on it and click on Run as administrator. Type “sfc /scannow” and hit Enter. Go to C:\Program Files\ and create a folder named as “WindowsApps.” Once done, Restart the PC. If all else fails, then unfortunately, the only solution that remains is to re-install Windows 8. Do let me know if the above solutions worked for you.